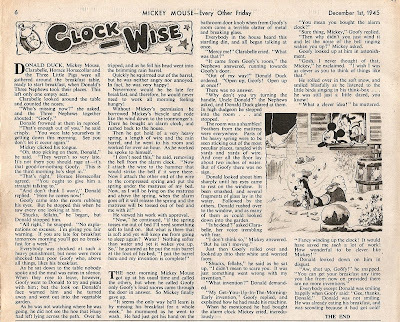 A string of illustrated short stories published in the early post-war issues of Britain's Mickey Mouse magazine do not appear to be of America origin as far as I could establish and hence might be British-made. Above scan is from page 6 of no. 402 (dated Dec. 1st, 1945) and is of the first sample from this particular series. 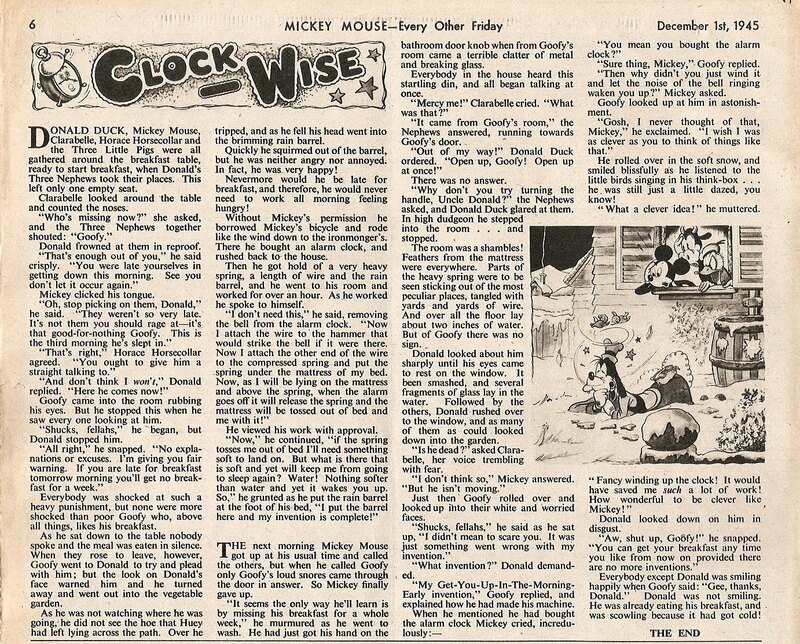 The name responsible for the quite slick-looking illustration may be Reg Perrot who was the most talented of the British artists known to be working in those issues of Mickey Mouse magazine.